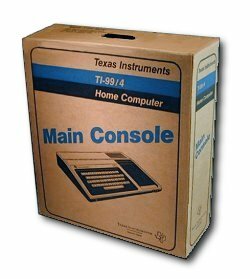 In June of 1979 Texas Instruments released the TI99/4 personal computer, with a starting price of $1500, which included a monitor. 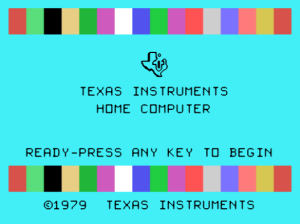 This was due to the fact that the Texas Instruments modulator, used to hook the computer to a TV, could not pass the RF standards. Over 20,000 of these models were produced. These are a great collector item, and are very rare indeed. Notice, in the above screen shots the copyright of 1979. 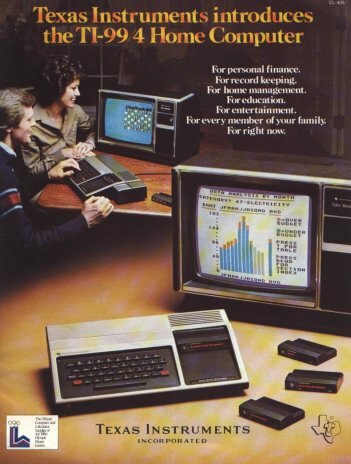 Also the "4" came with a built-in equation calculator, as shown as a selection in the second screen shot. The bottom screen shot shows the equation calculator in action. 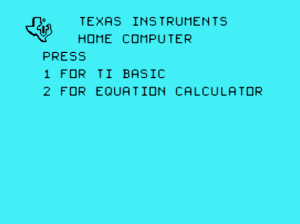 The equation calculator was removed when the the TI-99/4A was released. 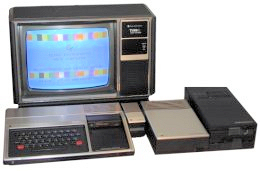 The above screen shots were taken from "Classic99" which is a TI-99 emulator, and includes the "4". For more information on Classic99 go here. 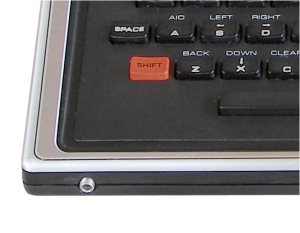 The metal overlay on the TI-99/4 had more of a brown cast as compared to the more silver color of the 99/4A. As you can see, this system could get quite wide! The TI-99/4 did come in a nifty box. 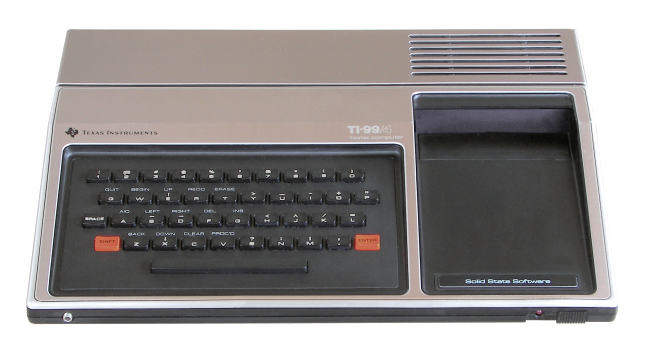 There were several differences between a TI-99/4 and TI-99/4A. The most obvious visual difference is the keyboard. The "4" only had 41 keys, and they were more like calculator keys then keys found on most computers. 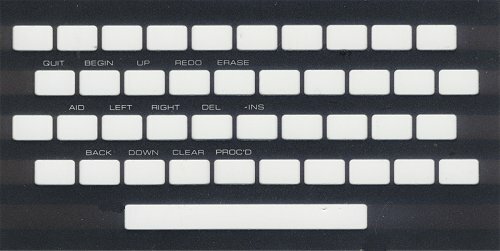 Overlays were provided with the TI to lay over the keyboard and help locate the the second function of the keys. These were accesed by pressing the "shift" key along with another key. If you were to hold down the "shift" key and then press the "Q" key the computer would reset... Since the "4" only had upper case letters, the shift key was only used to access the second functions of the different keys. The "4" also included an earphone jack on the front of the computer. 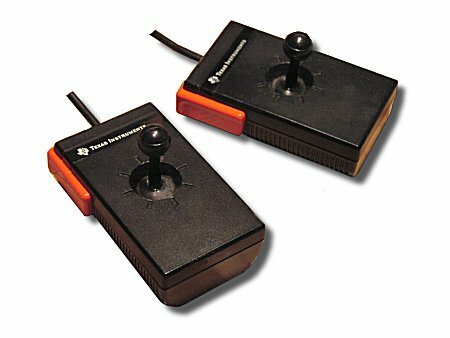 Before the TI-99/4 was officaly released it was to come with remote I/R joysticks, and keypads. 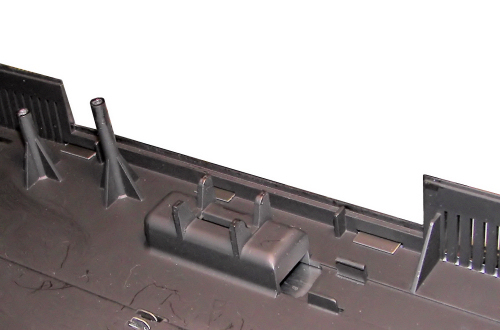 This was pulled at the last minute, and the above picture shows where the I/R device would have been mounted. 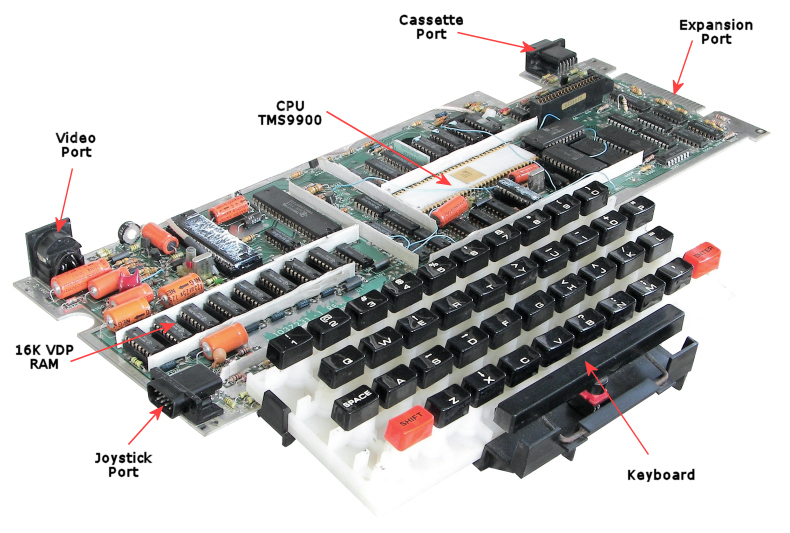 This is the CPU for the TI-99 line of home computers. The type that came on the "4" was made in a ceramic case with gold connectors, probably to military specs. 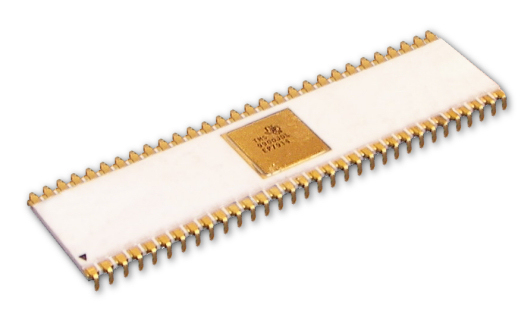 Later the chip was constructed in the more traditional plastic case. Here is a view of the "4"'s motherboard. This also gives a good view of the keyboard, which is attached to the motheboard. Unlike the keyboard on the 99/4A the keyboard on the 99/4 would need to be unsolderd to be removed. To view the entire brochure click here.